How to boost your memory – top 9 lifestyle tips for improving your memory - Learn to speed read in 2 day course with the top Speed Reading experts in the UK. Speed Reading courses in London, UK. Speed Reading strategies to increase reading speed, comprehension and memory. In-house speed reading courses in the UK. 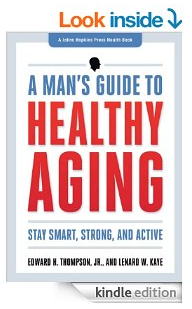 Top 9 lifestyle tips for improving your memory (according to A Man’s Guide to Healthy Aging). By the way, don’t worry if you momentarily forget your ATM pin number – you really need to start to worry about your memory if you forget what the ATM is used for. 1) Physical (daily) exercise is important and will enhance your memory and decrease the risk of dementia. 2) Cognitive exercises such as doing jigsaw puzzles, puzzles, games and thinking challenges and whenever the brain is challenged will bolster memory functioning and builds reserves. 4) Have a good night sleep. Heavy drinking which is typically defended as consuming an average of more than two drinks per day, has a significant nagtive effect on the brain’s ability to make, stain and recall memories. Research suggests that smoking causes white blood cells to attack and kill off healthy brain cells, increasing the risk of dementia. If that is not enough for you to stop smoking – remember that incidence of erectile dysfunction is nearly twice as great in men who are smokers compared to nonsmokers. Chronic stress produces on overproduction of the stress hormone cortisol and glucocorticoids which are thought to damage brain cells in the memory-encoding centre i.e. the hippocampus. Top techniques to manages stress include: mindfulness, mediation and EFT (Emotional Freedom Technique) / tapping. Posted in #1 Blog On Speed Reading & PhotoReading, Summaries of Books, Good Books to Speed-Read, News, Research On Speed Reading, memory techniques and tagged How to boost your memory – top 8 tips for improving your memory.